Today, the craze of learning a new language is increasing constantly as various people worldwide are interested in learning different languages that are a quite interesting process, but little difficult at the same time. In fact, the process of learning a new language sometimes becomes so tiresome that a lot of people prefer to give up on it. With the emergence of top language learning apps, it becomes easy and exciting for people to try out different languages like French, Spanish, Chinese, English, etc. No matter whether people are travelling in different countries for holidays or business meetings, they can fluently speak different languages. When it comes to talking about the best way to learn a language, Duolingo is the top language learning app in the market that allows people to learn more than 25 different languages without any difficulty. Recently, Duolingo app has launched its Chinese course for English speakers, so people can use the services mobile and web apps to learn Chinese. Along with Japanese that launched earlier this year, Chinese was the most requested language course at Duolingo that is one of the best language apps. 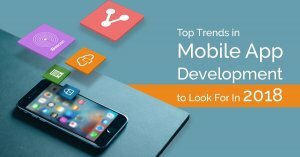 Apart from this, there are various other top language learning apps developed by top mobile app development companies and these mentioned apps are widely used by people worldwide. 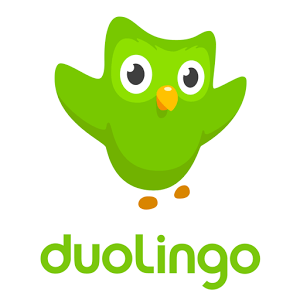 With Duolingo application, it is a lot easier to get started learning a new language. Just open this app and choose what language you would like to learn to instantly begin the course. The app begins by using text, pictures, and audio to help you learn a different language. Moreover, it promises to teach you the basics without having to spend a few thousand hours in a classroom. According to the latest news from theverge.com, the application has redesigned its owl to guilt-trip you even harder. The developers at Duolingo know this email campaign work because they have A/B tested several iterations of the crying owl, down to how many teardrops he sheds. Today, the company is launching its biggest redesign in five years and Duo is at the forefront. As per another report from sensortower.com, Duolingo was the most downloaded language app worldwide for 2018. 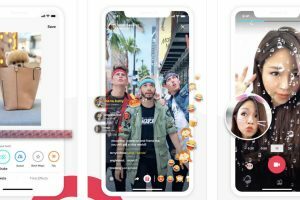 The application got more than 50 million new installs and the countries where the app received its most installs were the United States and Brazil. Moreover, the app has secured the top place in the list of the most downloaded Education app in Australia for 2018 with 500,000 installs. Memrise is also the top language learning application that is obtainable for free of cost. It is a lot easier to use this application as it supports offline courses and allows you to learn a massive number of languages. You can easily start off simple or you can skip all the way through to get more advanced lessons. One of the unique features of this app is it teaches you new words and phrases. Babbel is another top language app that has been broken down into different lessons that last between 10 and 15 minutes apiece. Enormous lessons are there in the application as it covers different abilities like tailored for both beginners and advanced learners. It teaches you different words, phrases and challenges you to spell them out. According to the latest news from TechCrunch, this online language learning app, Babbel, has announced that it now has over 1 million paying users in the United States. 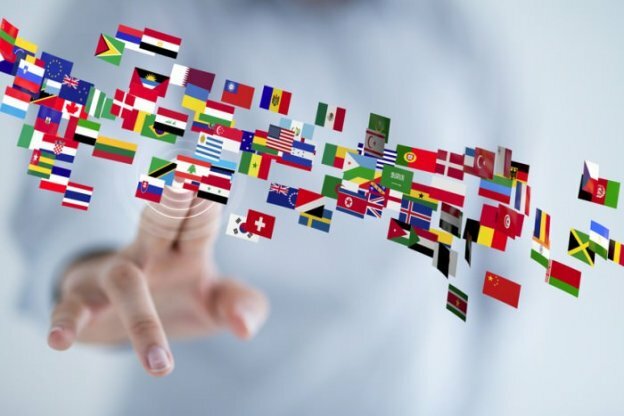 Even, the CEO of the company also announced that the company is now moving into a new area of language learning with the launch of a language travel marketplace. Busuu is the most popular global language learning community app that allows people to take language courses to practice reading, writing, listening, and speaking and learn a new language. With Busuu app, you can make use of any spare moments to keep learning. You just need to download the lessons and learn with Offline Mode. Currently, it offers 12 different languages in full courses. Way People Learn New Languages: One of the major features of Duolingo application is that it has changed the entire way how people are learning new languages in their free times. The app allows people to learn more than 25 different languages in a fun and interesting way. Likewise, you can also ensure that your developed language learning application also changes the way people learn languages. Try to make it as interesting and exciting as possible. Free for Up to Number of Lessons: The best feature that users can find in this application is that it’s free of cost lessons. The app allows users to get some of the specific numbers of lessons of any language for free, so beginners, who are traveling other countries, can learn a basic language using this app for free. Teaming Up with Friends or Compete With Them: The key feature that you can consider from Duolingo app is teaming up with friends or compete with them. So, you can also allow your app users to compete with the other app users or with their friends and track each other’s progress. This way, they can learn more quickly and easily. Speak, listen, Read, & Write at One Place: Another essential feature of this app is that it allows users to speak, listen, read, and write at one single place. 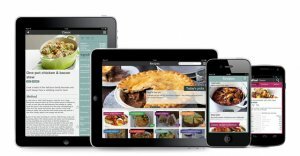 They don’t have to download any other app to track their progress as the app allows tracking their progress as well. So, you can also consider this feature while creating your own app. You can also make it for users to speak, listen, read and write, making it easy to know how they are performing. One of the major benefits of creating a language learning app like Duolingo and Memrise is that you can allow your app users to learn more than 25 languages, including Spanish, French, Irish, German, Italian, Portuguese, etc. You can make it easy and fun for your users to learn any language in their free time. Allow your users to participate in different lessons, including a variety of speaking, listening, translation, and multiple choice challenges. By creating an app like Duolingo Japanese language learning app, you can allow your targeted audience to learn any of their preferred languages anytime and anywhere according to their comfort. Whether your users want to try any new language in their breaks or commutes, they can make their free time more productive with your language learning solution. Another major benefit of creating a free language learning application like Duolingo is its beautiful and sleek interface. In the application, the little small turtle button allows users to listen to “slow” pronunciations of the word or phrase. The clear and slow voice is extremely useful in the exercises for the users as it asks you to type what you hear. So, if you also create an app like Babbel, you can win maximum users with your app’s attractive interface that makes it easy for them to use. Beginners: Those people, who begin learning a foreign language must be delivered with simple exercises that focus on writing and reading skills, beginning by teaching the most commonly used words in a particular language. For advanced Learners: Some of the potential users of foreign language learning app can also be interested in taking more of a serious approach to vocabulary training. For such type of users, make sure that you provide workload in some of the complex quizzes on reading and memorize foreign language phrases. Another major benefit of creating language learning app similar to Duolingo and Memrise is that you can allow your app users to track their progress on regular bases so that they can know that where they need to improve. They can track their performance and know how much they have improved from their past performance. Just like Duolingo app, you can ensure that you make it easy for your users to get personalized feedback and practice, making them ready to get the most out of classroom instruction. So, this is a complete guide to create your own language learning app like Duolingo that has grabbed the huge attention of people worldwide. You can consider above-mentioned information while creating your app to make it successful like Duolingo. Still, if you have any confusion or query related language learning application, you can get in touch with us through our contact us form and our team is always happy to advise you on the best technical solutions. This page was last edited on April 9th, 2019, at 9:35.